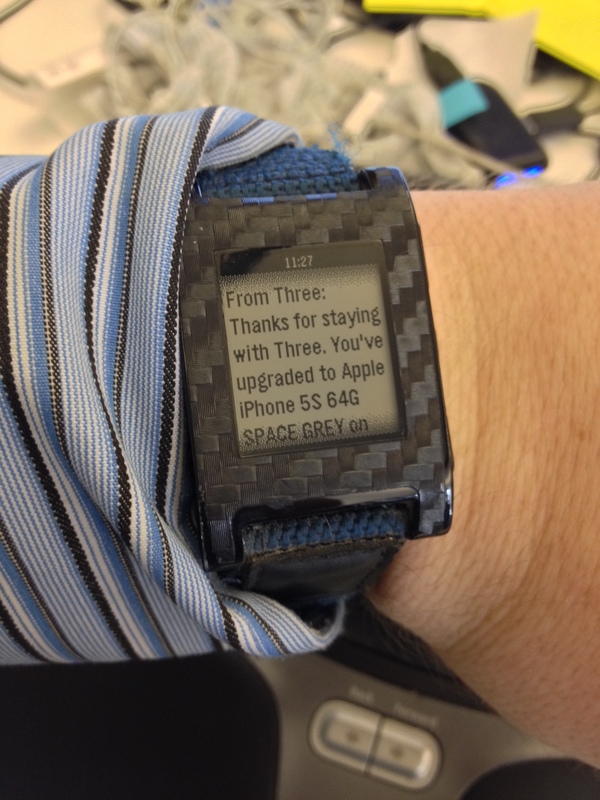 It’s two years to the week since I bought an iPhone 4S on a two year contract from Three. Thus, my contract is up for renewal just as the new iPhone comes out. Syncroncity. So yes, it’s a phone. It’s a smartphone. It’s even an iPhone. You press the button and it turns on. It’s taller and lighter than the 4S, and the interface seems snappier to use. Pictures come out better, and the new slow-motion video camera is a neat trick. I can open it with my finger print. It’s the new version of the iPhone, and it’s a faster one. TouchID is new, and works very well. 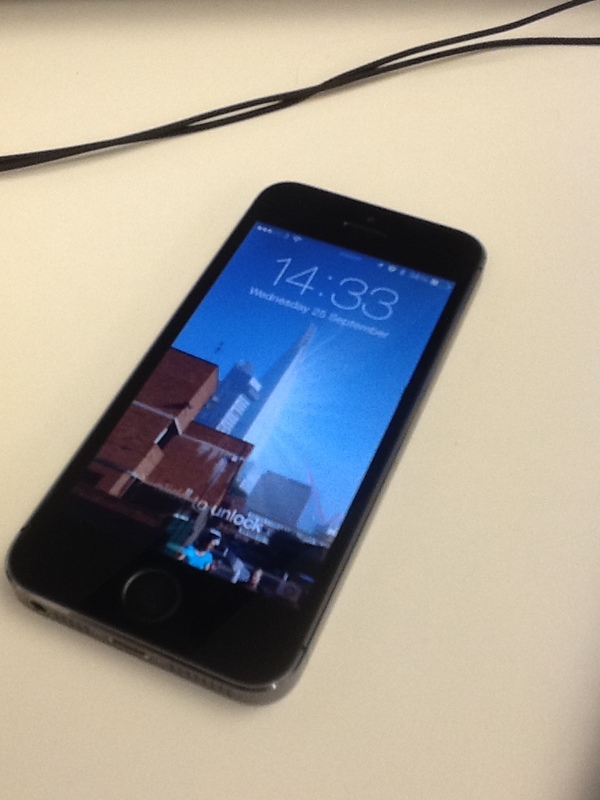 A brief pause of your thumb on the lock screen is enough to open up the phone. Its theoretical security doesn’t hold up to cryptoanalysis, but to be honest if someone steals my phone, takes a high resolution perfect scan of a perfect print of the correct finger, makes a latex model of it and then uses that to reset my Bejewelled Blitz high score; all before I realise my phone is missing and use the Apple website to completely disable the thing, they have done more than it would take to guess my four digit passcode. EIther way, if they’re mugging me they’ll force me at knifepoint to unlock it first, at which point neither password nor fingerprint will save me. Security is almost always a trade-off between risk and speed/ease of use, from door keys to deep crypto, and TouchID is better by several steps than the base level of security of most phones in the world, which is zero. I like the new layout, I like the text based design, I even like the scrolling effects. I like a lot that Apple have taken inspiration from Android core features to add to iOS – or stolen them, if you prefer – in the form of the Control Centre and the new multitasking interface. Yes, I know Android did it first, and I liked it when I had an Android phone, but if you truly believe Android didn’t do the same with iOS features I have a bridge to sell you and no desire to have this argument. It works less well on the iPad2, pushes the CPU a bit hard, but the new font rendering is very pretty. It does make the few Apple apps still using the old style stand out a lot – Find My Friends’ faux-leather interface is a lowlight – and I’m looking forward to my central apps adopting the new styles.